Lawn grass, as an important landscaping material, is stressed by cold and freezing in the northern winter. Plant growth regulators were often used to improve the cold resistance of plants. 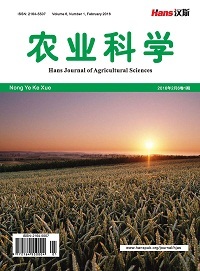 To discuss the effect of plant growth regulator on the freezing resistance of cold season turfgrass and its physiological mechanism, the influence of low temperature stress on physiological indexes of turfgrass was firstly analyzed in this study. And then the effects of paclobutrazol, abscisic acid, salicylic acid, trinexapac-ethyl and other kinds of plant growth regulator on cold season lawn grass were summarized. 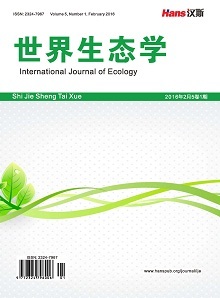 The important regulation effect of plant growth regulator on the frost resistance of cold season turfgrass was discussed at last. All above studies aimed at providing an important suggestion on the reasonable application of plant growth regulator in lawn grass maintenance. Jiang, Y. and Huang, B. (2000) Effects of Drought or Heat Stress Alone and in Combination on Kentucky Bluegrass. Crop Science, 40, 1358-1362. 吕优伟, 贺佳圆. 9个野生早熟禾对低温胁迫的生理响应及苗期抗寒性评价[J]. 草地学报, 2014, 22(2): 326-333. 梁慧敏, 夏阳. 低温胁迫对草地早熟禾抗性生理生化指标的影响[J]. 草地学报, 2001, 9(4): 283-286. 郑国华, 张贺英. 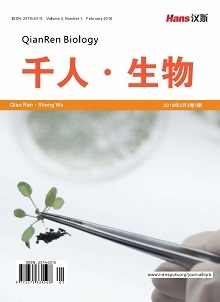 低温胁迫下枇杷叶片细胞超微结构及膜透性和保护酶活性的变化[J]. 中国生态农业学报, 2009, 17(4): 739-745. 宋巍, 李志辉, 张起华, 刘胜尧. 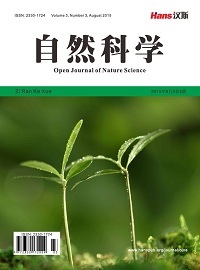 植物生长调节剂对高羊茅草坪草的应用效果研究[J]. 河北农业科学, 2012, 16(1): 48-50. 杨文权, 寇建村, 刘勇, 杨云贵. 多效唑对2种冷季型草坪草生长的影响[J]. 草业科学, 2008, 25(11): 117-119. 刘晓静, 柳小妮. 多效唑和烯效唑草地早熟禾一些生化指标及其抗性的影响[J]. 草地学报, 2006, 15(2): 48-53. 刘立军. 叶面喷施脱落酸对高羊茅抗寒性的影响[J]. 中国草地学报, 2010, 32(6): 94-99. 何文平, 张旭强, 等. 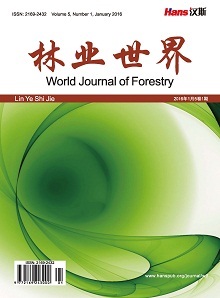 低温胁迫下脱落酸对线粒体膜磷脂酶D活性的影响[J]. 广西植物, 2017, 37(6): 742-748. 池春玉, 连永权, 等. 水杨酸浸种对紫羊茅抗冷性的影响[J]. 中国农学通报, 2009, 25(14): 186-189. Rossi, F.S. and Buelow, E.J. (1997) Exploring the Use of Plant Growth Regulators to Reduce Winter Injury on Annual Bluegrass (Poaannua L.). United States Golf Association Green Section Record, 35, 12-15. Golembiewski, R.C. and Danneberger, T.K. (1998) Dollar Spot Severity as Influenced by Trinexapae-Ethyl，Creeping Bentgrass Cuhivar, and Nitrogen Fertility. Agronomy Journal, 90, 466-447.